Saying that “Synecdoche” is a love letter to the fans who’ve watched Person Of Interest show all these years almost feels like a disservice to the show itself. You see, Person Of Interest as a whole is arguably a love letter to the fans. Character deaths may not make it appear that way at times, but it’s a dystopian science-fiction crime show—it’s part of the territory. So after years of explaining to outsiders that Person Of Interest is “a procedural, but…,” it only makes sense that the show gives one last look to its case-of-the-week aspect (and the fact that it still meant something) before it ends. 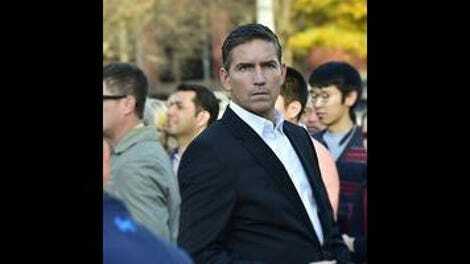 It makes even more sense that Person Of Interest would close up the irrelevant numbers bag with both the biggest number it could ever have—the President’s of the United States—and also one of the most important—primary asset John Reese’s. While it’s “just another case-of-the-week,” there are still a couple of pretty big revelations in this case. The first of which is the team of “assassins” (if you can really even call them that) who attempt to kill the President to put a stop to his new surveillance proposals. As far as the other revelations go in this case, this one actually falls at the bottom of the list, despite it being an—like I just said—assassination attempt on the POTUS. While it initially makes sense to assume that a few stragglers are possibly left from Vigilance, things like Charlie the cater waiter’s incompetence and the moment where Shaw points out all of the flaws of the group (which include them announcing their intentions to the masses) are just the show being completely straightforward: They’re literally just a group of “concerned citizens.” Sometimes you don’t need a shadow organization to rage against the machine—you just need the people, even if they’re wholly unprepared for the gravity of that situation. Interestingly enough, that lack of preparation is a great deal (but of course not all) what frustrates Shaw about this entire operation, since she’s experienced firsthand just how terrible this surveillance they’re fighting against is and these “concerned citizens” can barely comprehend it. Then there’s the reveal that Team Machine isn’t the only Team Machine on the block: And that’s where the love letter to the fans comes in. In theory, it makes sense that there are more than one version of Team Machine; as Harper (Annie Ilonzeh) points out, the thought that murder only happens in New York is very myopic, which has been a lingering “flaw” of sorts in Person Of Interest’s design. That the Machine recruited past numbers and acquaintances of Team Machine Prime makes even more sense, since it’s easier to recruit soldiers when they know just what they’re fighting for. In this case, said soldiers happen to be the aforementioned Harper Rose from last season, season two’s tech billionaire Logan Pierce (Jimmi Simpson), and season one’s Joey Durban. That last one’s a deep cut for sure, and even with its necessary exposition, Person Of Interest knows its audience can keep up. It’s a feel-good ending of sorts for this particular plot, both reassuring Team Machine Prime that what they do really does matter and giving them (as well as the audience, in a way) the knowledge that even if they do fail, there’s more where they came from. That’s a nice feeling to have in this time of uncertainty. Of course, the fun is nonexistent when talking about Finch’s plot or even Shaw’s role in the episode. Shaw’s situation is a little more complicated, just like Shaw. And not just because, in what feels like a cosmic morbid joke, the Machine chooses Shaw to continue Root’s revolving identity antics. Her reaction to Root’s death—or her lack thereof—both comes in the form of her believing (and hoping) it’s just another Samaritan simulation and the fact that she’s wired a certain way. She’s clearly in mourning, as Reese points out, as she just spends her time on the playground, completely tuned out until Reese shows up. And as she tells Charlie the cater waiter, the only thing she’s really feeling is “anger,” especially since he still has loved ones and chooses to put them in danger. The way she ultimately works through this is by choosing to continue the work Root would’ve wanted them to continue, and while it’s not a bunch of crying and yelling, it suits Shaw just right. Finch’s actions, on the other hand, come more from a place of resignation. He’s done thing the “right” way all these years, and it’s barely gotten him or Team Machine far. Good people have died because of this, and the bad people only get stronger. The one-two combination of Elias and Root’s deaths were the proverbial straw that broke the camel’s back, and hearing Root’s voice in the Machine only makes the loss hit so much harder. So after years of constantly debating morals and the Machine’s place in the world with Root, it makes sense why Finch would be hit the hardest by her death and decide to take drastic measures. Actually, given their conversations, the Machine may have been hit even harder by Root’s death. That’s a machine having a better understanding of the human condition than most humans, all while Finch seemingly gives up—or at least betrays—his sense of humanity to put a stop to Samaritan once and for all. 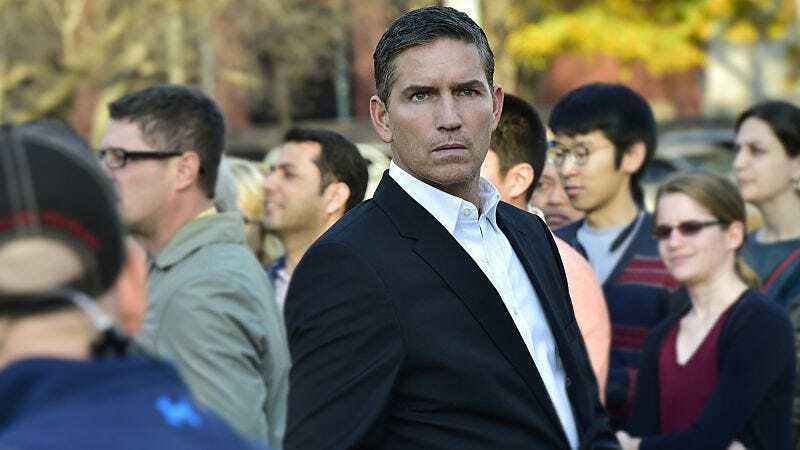 So while Reese, Fusco, and Shaw are doing things the “right” way in Washington D.C., Finch ends up in Texas for the thing that will absolutely take Samaritan down: the “Ice 9” (a Vonnegut reference) virus. It’s not even just the fact that the virus will take down more than just Samaritan with its use (a type of collateral damage that Samaritan would typically be all about), it’s the fact that Finch goes past his moral line both to get the virus and to leave the Army base with it. There’s nothing less Finch-like than the moment he threatens a man’s daughter’s life with either bumping her to the top of the heart transplant list or bumping the girl to the bottom of the list to die within the next five weeks. But at this, his lowest, it’s the only thing that makes sense to him. Shaw mourns Root by trying to save the world the way she would’ve wanted (as the Machine points out to Finch just how much Root’s choice to do good meant), while Finch mourns Root by going for revenge and doing anything possible to prevent Samaritan from living and ruining lives any longer. As the trio look for a Finch who doesn’t want to be found, it leads to an interesting scenario for the final two episodes. And probably an even more heartbreaking one. Finch: “Intentions can be a fickle business.” You don’t say. Despite how hurt she is, I can’t help but admire how brazen Shaw is to pull out a gun in a playground in broad daylight. Of course, at that moment, she believes it’s all another Samaritan simulation, but it’s still very Shaw regardless. I was happy to see Harper on Team Machine II, as her appearances last season really made me want her to at least be on Zoe status with the team. This is still good, since this is the show’s final season and all. Now you know how it feels to be watched, Reese. Or should we call him “Wilkes Booth” (a very good retort from Shaw) from now on? The episode kind of telegraphs the second team (and no, not as possible terrorists) thing a bit, doesn’t it? First: “I guess you can say I’m championing a new cause.” Plus, one former number (with a “new job”) is coincidence—two is either intentional or just bad writing. It’s all a little on-the-nose, but at the same time, that kind of works perfectly for this episode’s purposes in the series. As awesome as it would be to have a Person Of Interest spin-off, unless the show completely changes its format to even more procedural, why would CBS ever pick up a Person Of Interest spin-off? And if it’s just a case-of-the-week CBS show, then is it really Person Of Interest? Or is it CSI: The Machine?